Our typical student is a rising junior (~35%) or senior (~65%) in high school. Talented 9th graders (rising sophomores) may be considered, however, priority will be given to older students. Graduated seniors are also eligible. Successfully completed a lab science course (Chemistry and/or Physics). Many students feel that knowledge of physics is particularly helpful for the course. Successfully completed a course where the trigonometric functions are taught. To meet the trigonometry prerequisite students, must be able to use the trigonometric functions and be comfortable applying the laws of sines and cosines to non-right angle triangles. If you learned to use the trigonometric functions in a course other than one called Trigonometry, you will select “Yes, as part of another course” and enter the course name when asked if you have taken Trigonometry on the online application. 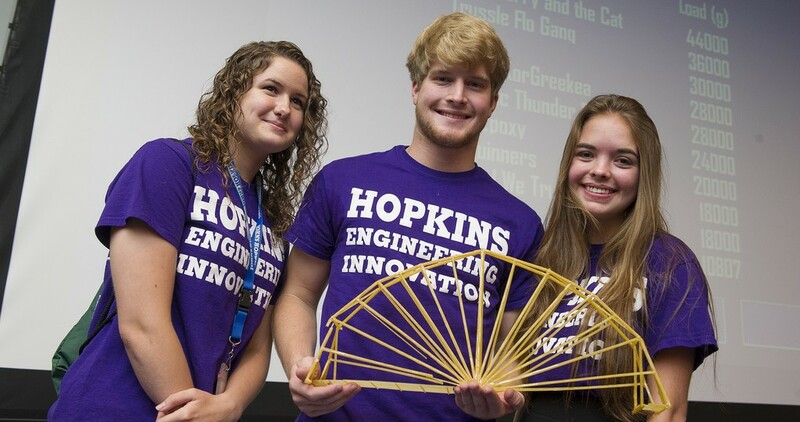 We offer residential opportunities at our Johns Hopkins Homewood campus in Baltimore and Hood College. Residential students must be between 15 and 17 years of age for the duration of the program (born between July 21, 2001 and June 23, 2004); no exceptions can be made. All students must have valid health insurance coverage in the United States and must be able to provide proof of insurance upon enrollment in the program.